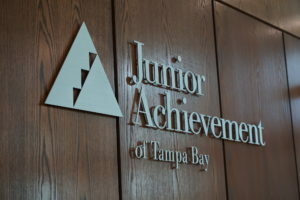 Creative Sign Designs is experienced in guiding students, faculty and visitors in and around education campuses. Virtually all campus signage projects completed by Creative’s team of experts includes interior and exterior wayfinding consultation, and matching new products with existing university signage structures. 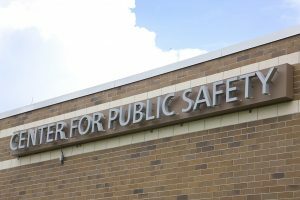 As an expert in design and fabrication of campus signage, Creative Sign Designs is equipped to handle any school’s signage project – large or small. From prep school to state university Creative is your turnkey solution for customized signs. 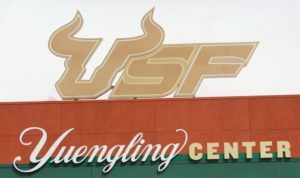 Having worked with Tampa Bay Entertainment Properties on some of the Tampa Bay Lightning projects in the past, we were thrilled to be able to partner with them again on the rebranding of the USF Sundome to the Yuengling Center. The vision for this venue is to help our community connect through the energy of a crowd, providing an intimate arena so we can enjoy diverse experiences together…whether it be sports, music or other entertainment. 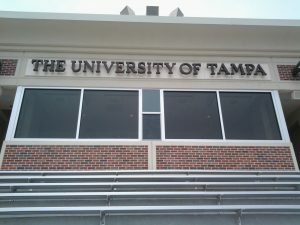 Creative Sign Designs, a long-standing partner of the University of Tampa, provided a turnkey signage approach to the state-of-the-art athletic field located on West Kennedy Boulevard, near the corner of Willow Avenue. The Naimoli Family Athletic and Intramural Complex supports the university’s intramural program, club field sports, men’s and women’s lacrosse, and women’s soccer. 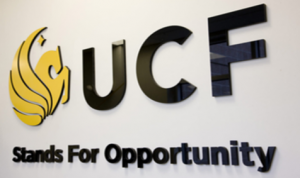 Seminole State College’s renovation included electronic message centers and exterior wayfinding signage for their UCF Extension, as well as their Center for Public Safety’s interior and exterior signage, both completed by the Creative Sign Designs team.